Stephen Sackur is in Brussels to speak to Nato secretary general Jens Stoltenberg. Will the ascent of Trump hasten the demise of Nato? Browse content similar to Jens Stoltenberg, Nato Secretary General. Check below for episodes and series from the same categories and more! 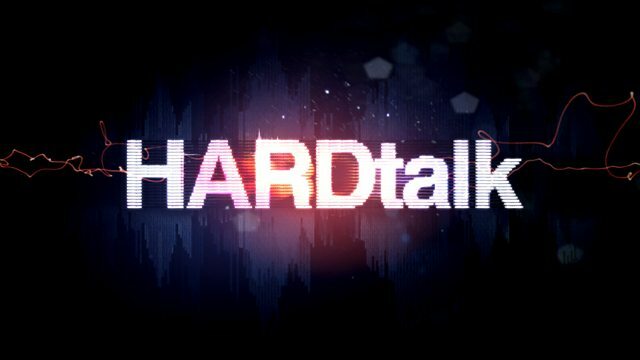 Secretary General Jens Stoltenberg on HARDtalk. Welcome to HARDtalk from Nato headquarters in Brussels. harder for my guest today, Jens Stoltenberg, Nato's chief. So, will Trump's assent hasten the demise of Nato? Jens Stoltenberg, welcome to HARDtalk. With different ideas, different perspectives. And Nato has been able to handle that for almost 70 years. just a few days ago, declared Nato "obsolete". because we have been able to adapt to change. For 40 years we did collective defence in Europe, deterring Russia. Then we adapted after the end of the Cold War. in Afghanistan and we are adapting again. Responding to a more assertive Russia in the east. How do you adapt to a US president who believes Nato to be obsolete? is that Nato is changing because the world is changing. When I spoke to him, he was very committed to Nato. He expressed a strong support to Nato. I'm just wondering how you reacted to that. concrete issues where we can do more, where we can change more. That is exactly what we have started to do. fighting terror and strategy, on that front, later. Democracy, the rule of law, individual liberties. That reflects the need to protect human rights. Do you believe there is place for torture in a security policy? No. I'm opposed to torture. Torture is against international law. waterboarding, for example, works, how do you respond to that? with the Defence Secretary and with the CIA director. They have both expressed strong... Resistance. most important member of the organisation. and I tell you what Nato do, what we do in our operations. when Donald Trump makes, it seems, a case for torture. How damaging is it, Secretary General? and he mentioned the Secretary of Defence and the CIA director. They have expressed that they are against waterboarding and torture. All of our operations are conducted in line with international law. That's my position and I will convey that position very clearly. that the new United States President has said. to commandeer the oilfields and take that resource from Iraq". Are these values that you believe represent Nato's values? against Nato values and clear Nato decisions. to reach a consensus, to make decisions together. security policy are not what he's going to do. Because if they are what he's going to do, you've got a grave problem. about what Donald Trump is bringing to the table? for Europe but it is also good for the United States. in Europe is also important for the United States. that was a direct response to an attack on the United States. In the United States, they know that Nato is important also for them. Yes, and it is also in line with the thinking in Nato. the sorts of foreign interventions like Afghanistan, like Iraq". There is a big differs between Afghanistan and Iraq. Afghanistan had a clear UN mandate and Nato operation. to remake Afghanistan in the image of Western values? without deploying Nato troops in big combat operations. Isn't that what the Afghan operation was about? the Afghans themselves to fight terrorism. local forces to fight terrorism themselves. This is the message she conveys and I absolutely agree with her. in particular and they considered the global security situation. We have a strong, collective defence in Nato. the United States, said the other day. of Putin and Russia, that is an upside down world". You're ignoring all the other comments from Trump? In addition to that, we see that words are followed by deeds. Those were all decisions taken under Barack Obama. of Donald Trump's particular grievances with Nato. He says "we are getting ripped off by every other country in Nato". consider walking away from the Nato alliance". that means Nato is in grave danger, doesn't it? have started to increase defence spending. next financial year on its military as a proportion of its GDP? they have to spend, if he's not to consider walking out of Nato. investment in defence has been my main message since I took over. What is your message to Chancellor Merkel? that the US will not keep paying for other people's bills. have decreased tensions, and defence spending went down. need to prove that we are able to increase defence spending. for the first time had troops in the eastern part of the alliance. We have increased forces so we can respond rapidly if needed. We do more exercises, we respond also in cyber and other domains. There is an equivalence in his view of Angela Merkel and Vladimir Putin. Do you see Putin as smart and admirable? not in spite of Nato but because of Nato. could overrun Estonia, Latvia and Lithuania in three days. What kind of deterrent are you really offering? pattern, we saw it in 2007. We saw a very big attack against Estonia. supplies in Europe to make sure the transatlantic bond remains strong. Stephen Sackur is in Brussels to speak to Nato secretary general Jens Stoltenberg. He's chief of an alliance of 28 nations that's supposed to work by consensus, but his job just got a whole lot harder. Donald Trump is now in charge of Nato's dominant member, the United States, and he's been very public with his grave doubts about Nato's future. Will the ascent of Trump hasten the demise of Nato?